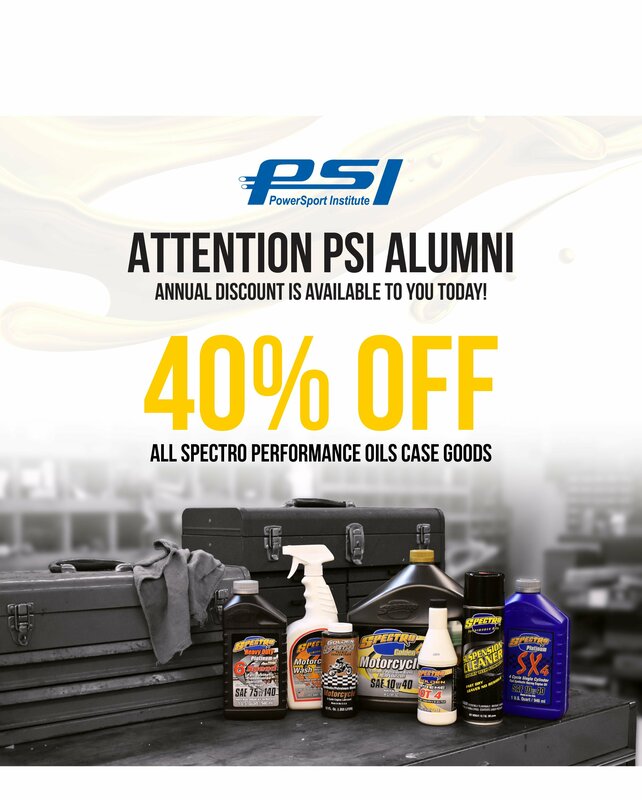 Attention PowerSport Institute graduates and alumni, Spectro Performance Oils, the Official Oil of PSI would like to offer a huge 40% annual discount on all Spectro Performance Oils case goods to you! Throughout your schooling at PSI, you got to practice and train with the highest quality motor oil, Spectro Performance Oils and now you can continue to use the same great products at a huge discount! This offer is good for up to 5 cases per year at 40% off, on full case orders only. You are responsible for shipping and must be in good standing with Ohio Technical College / PowerSport Institute. If you would like to purchase more than 5 cases, there will be a 15% discount on any additional cases. 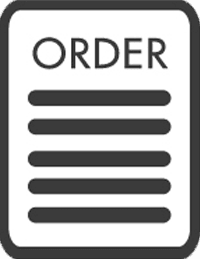 To order, please call Joe at 800-243-8645. 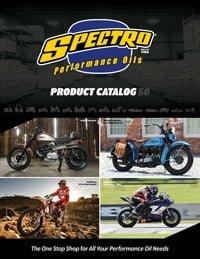 Below are links to the full line catalog as well as the order form / price list for you to choose the right product for your bike and to see the huge savings! If you have any questions about product applications or pricing, ask Joe.